Artificial intelligence (AI) is set to bring a paradigm shift to the healthcare industry facilitated by technological advances, the availability of vast amounts of healthcare data and rapid development of big data analytical methods (1). AI systems analyse immense amounts of data from an array of sources to draw connections and predict outcomes which can be applied in several ways to healthcare (1). AI involves the use of software and algorithms to analyse data in a way that aims to mimic processes related to human intelligence such as reasoning, learning and adaptation, sensory understanding and interaction (1, 2). Different AI techniques can be applied to healthcare data in structured and unstructured formats. Machine learning (ML) is useful for analysis of structured data from diagnostic imaging, genetic testing and electrophysiological data. Natural language processing (NLP) is used to analyse unstructured data such as clinical notes or medical journals by turning text into machine-readable structured data (1). The application of these technologies has great potential to unlock clinically relevant information in healthcare data from multiple sources to assist in clinical decision making (1). There are challenges that must be overcome before the full potential of AI in real-life healthcare applications can be realised including privacy issues relating to the storage, use and sharing of sensitive health data, as well as the lack of adequate regulatory and legal frameworks. In America the FDA has approved a number of healthcare algorithms, however the guidance on how these algorithms are being reviewed and regulated has been described as unclear by industry stakeholders (3). For example, AI technologies based on ML algorithms that are designed to learn from patient data and adapt as increasing amounts of data are analysed (4). Systems such as this will need to enable sharing of sensitive patient data while keeping protected information safe in compliance with government privacy regulations. A further challenge is developing a framework for how ML algorithms should be regulated and implemented in clinical practice, since these algorithms incorporate ‘new learning’ and adapt in response to increasing amounts of patient data (4). In Australia, current Therapeutic Goods Administration (TGA) regulations do not adequately capture all ‘Software as a Medical Device’ (SaMD) under the risk-based classification used for medical devices. At present many SaMD products are classified by the TGA as low risk even though the potential risk for users may be higher. Therefore, the regulator will soon be consulting on changes to the regulations relating to emerging technologies including diagnostic AI systems, as well as health apps and 3D printing of body parts (5). The first AI-based diagnostic system designed to provide an autonomous screening decision without the need for clinician interpretation was authorised by the FDA in 2018 (3, 6). The technology enables automated analysis of images to detect fluid on the retina for the detection of diabetic retinopathy, which is the leading cause of vision loss in adults. Diabetic retinopathy represents a significant healthcare challenge and will affect an estimated 191 million people globally by 2030. The software provides a quick result indicating that either diabetic retinopathy is present and the patient should be referred to an eye care specialist, or that the screen is negative and should be repeated in 12 months (6). In this case AI provides a result that can be interpreted by a non-specialist, making it feasible that patients could be screened in the primary care setting thus easing the healthcare system burden and potentially lowering costs. It is increasingly evident that Medical Affairs will have a unique and expanded role in the healthcare industry as digital technologies such as AI transform how healthcare is delivered, as well as how drugs are researched and discovered. 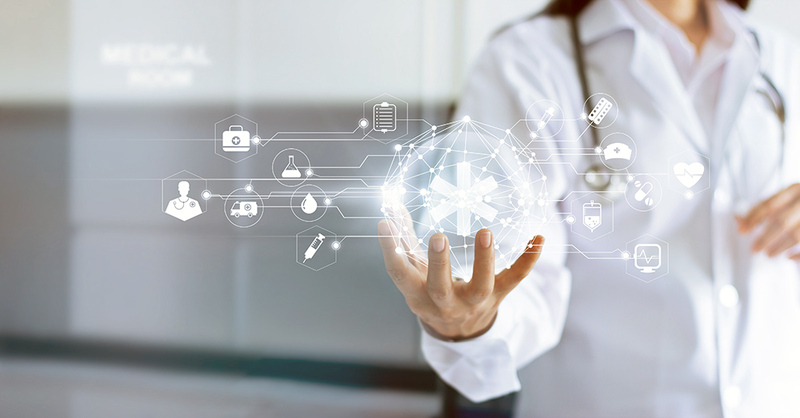 CRC’s experienced Medical Affairs team has the expertise to provide tailored strategic solutions and communicate the value of clients’ products that incorporate artificial intelligence and other new age digital healthcare innovations. Jiang F., et al. Artificial intelligence in healthcare: past, present and future. 2017 Stroke and Vascular Neurology.